High performance solar throughout its life! 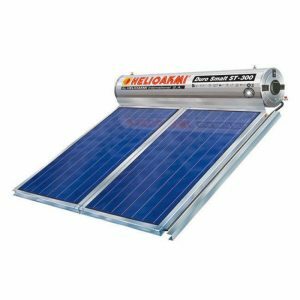 Solar Heaters with high standard and service life! Solar thermal systems use solar energy to provide free hot water production for all uses, while still contributing decisively to saving other forms of energy, which, in addition to their high costs, are also harmful to the environment. One of the most economical solutions that guarantee excellent results in a simple, direct and lasting way. The stainless steel outer cover ensures long life and durability in all weather conditions. Stainless steel wells are superior to others because they have high corrosion resistance and strong resistance to both low and high temperatures. They keep the quality of the water they store from the net unchanged, at the same time they are distinguished for the ideal exterior finish with a construction that is considerably smaller than the enriched water heaters. The solar mount is made of 2 mm thick galvanized iron to withstand the weather and not to rust. This base of the solar heater has no degree of limitation since it can be placed comfortably and easily on any type of surface whether it is a roof or tiles. It is designed to accommodate twice as much weight as a solar heater usually weighs. The one-piece, un-jointed, aluminum frame of the solar collector ensures sealing and weathering, resulting in long life. Quality construction with strong levels of durability to help maintain optimum solar water heater performance. Robust grip and safety are synonymous with the installation of your solar water heater with the reliable one-piece aluminum frames. Please contact us for any information by filling out the following form for sending a message.